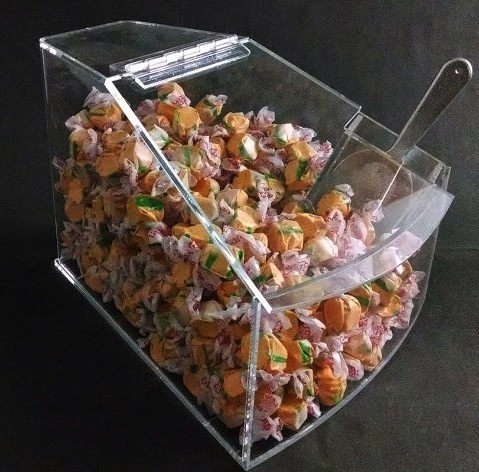 Fill this Large Radius Candy Bin with your favorite candies and you will find it fits perfectly into some of those smaller spaces due to its pie shape. 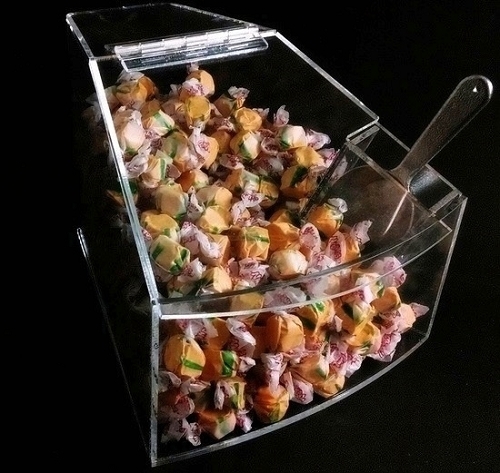 This clear acrylic radius bin prevents there from being anything keeping your customers from seeing all that colorful candy you offer. And when customers can see products and get to them easily they are more apt to buy and return for more. 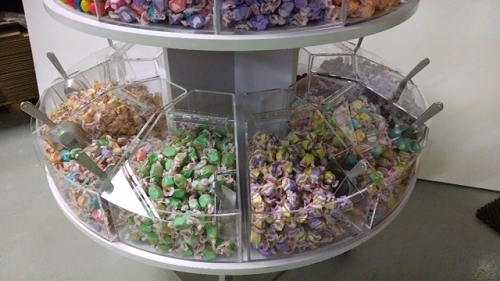 Scoop and tether included with this radius candy bin. 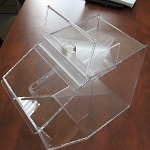 Order yours today at All Candy Containers in large or also available in a smaller size.